Encouraging buyers into your selling funnel is a crucial part of being a successful Amazon seller. It is important to choose great products, sell at the right price, and package this effectively. However, unless you market your wares effectively, no one will know about your products or that your brand exists. An outstanding email marketing strategy can be the difference between a successful sales experience and a potential loss. Why does an Amazon seller need an email marketing strategy? The quickest way to get the direct attention of your potential market is through their inbox. If you get your email marketing strategy right, you could be a welcome visitor to the email of your potential and your regular customers. It is a way to gain more traffic to your pages and to increase your sales. However, a good email marketing strategy for the Amazon seller can be more than this. With successful use of emails, you can also prompt seller feedback and positive reviews. User-generated content is the secret ingredient of almost all Amazon sellers – with a huge number of 5 star reviews you can be guaranteed regular and lifelong sales. If you are clever, a great email marketing strategy can cement your reputation with your customers. They will come to look forward to your messages and it could help them feel like a part of your club. The success of an Amazon seller comes from the repeat visitor – and an email strategy is a way of accessing this. However, to be successful you will need to cut though the noise. You are not the only person who will want direct access to the attention of your customer. There are an estimated 281 billion emails sent each day, with only 3.7 billion email users worldwide. Therefore, the inbox of your customer is cluttered. How can you stand out? How do you start email marketing? You need a roadmap for your email marketing strategy. You will have few chances to make an impression with your customers, so you need to make sure that the decisions you make are sound. 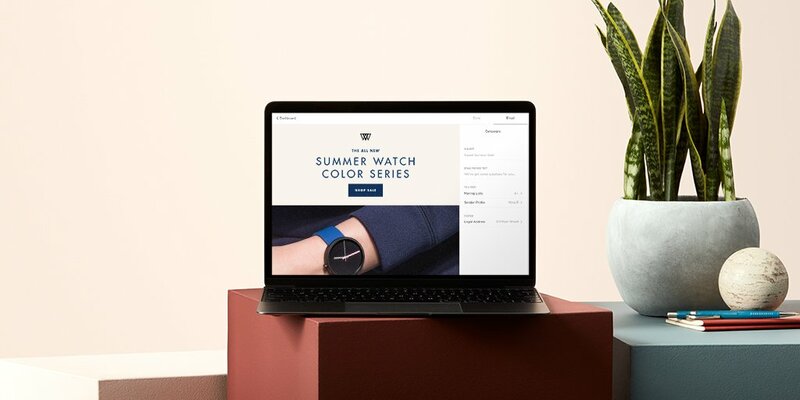 Two-thirds of your sales are likely to be a result of this email campaign, so it is worth putting in as much time here as you did in selecting your products to launch. You need to consider how you are going to create a desire for your product. Think: what are my consumers missing from their lives and how will my product fill it? Then, what action do you want from the customer as a result of this desire. A consistent and clear call-to-action is essential. the launch-day email – which should offer promotions and be clear on a call-to-action. You should focus clearly on the benefits of the product and offer obvious incentive to buy. post launch – you then need to continue the sense of excitement about the product by sharing customer testimonials; launching promotions and discounts and encouraging participation through reviews. The email marketing strategy should also be planned in coordination with the rest of your marketing strategy. You need to think how it will link to your website updates, your social media posts, your bogs and your press releases. The message you send should be consistent across all your marketing channels. An obvious practical consideration is how to collect the user’s email addresses. You only want to appear in the inbox of people who are willing to receive your mail and who are obviously interested in your product. Therefore, you need a tool for finding these email addresses. One such tool is AMZDiscover. AMZDiscover is an online search engine for those who have reviewed Amazon products or those customers who are happy to share their email address with others. This means it is a gold-mine filled with potential customers for your email marketing strategy. To gain access to the list of email addresses you simply copy and paste the URL of an Amazon product listing and click search. You will then receive the names, email addresses, useful comments and ranking for that product. You will also receive details such as their Facebook and Twitter pages. Once you have discovered all the information you need about your potential customers from AMZDiscover, you can set about organising them into target groups. If you are clever, you will be sending a different email chain to different groups of your audience. There are essential ingredients that you need to include in your email template. The nature of this information will depend on the customers you are targeting. There should be an effective mix of text, image, video, discount offers, and more. There should be a consistent voice to your emails and an obvious call-to-action – so your customer knows exactly how to respond to your message, with no room for ambiguity. You should also consider leveraging content from your blog and your social media – connecting the message between your marketing channels. There are many examples of email marketing software available through SaaS websites. There are sites such as MoonMail, which allows you to design email campaigns using the talent of the top engineers and designers from Apple. There is also Sleeknote, which not only allows us to create targeted email campaigns – with added features that allow you to convert visitors without damaging their user experience. Finally, there is the Agile CRM. This is from the suite of software products for project managers. This SaaS includes a drag and drop email builder and allows email A/B testing. Many of these email marketing software packages will also automate the campaign for you. The packages will send the emails on set dates to set email addresses. It is even possible to send different messages to different segments of your potential and existing customers. Part of your planning for your email marketing strategy should be a design of the automation that you wish to implement. Crucial to managing the success of your email marketing strategy for Amazon sellers is tracking the marketing data. You need to deal with packages that offer you accurate and complete data sets, which will help inform sound judgements. The most important data to track includes purchase history, email clicks, click-through conversions, the percentage of users accessing information through a mobile phone, the number of website visits and clicks inspired by the email, and any preferences your customers have dictated. The success of your email marketing strategy is therefore dependent on the email marketing software that you choose. There are many software options available. Here is a summary of the best of the bunch, with some details of the features on offer. Mailchimp is the best-known email marketing software available. Popularity isn’t necessarily a mark of quality – so does Mailchimp live up to its reputation? The major benefit of Mailchimp is the well-designed user interface, which makes it easy-to-use – even for the email marketing beginner. Even though it is easy-to-use it is not a simple software – it offers many powerful tools. You can build an entire campaign – and easily import and export your email lists. Another benefit of Mailchimp is that you can get a free account for many of the features – though you will need to subscribe for some of the automation feature. The free account also limits the number of contacts you can have and how many contacts can be included in a campaign. When you begin to subscribe you will find that Mailchimp is more expensive than other packages and may not offer a return on your investment. Also, Mailchimp insists on a double opt-in to join your list. This means that the people who join your mailing lists are happy to be there – and you won’t be intruding in the inbox of customers. However, a lot of customers never bother to make this double commitment and you lose potential contacts. jump Send is an effective tool for email marketing strategies for Amazon sellers. This package allows you to send smart emails to customers – emails that are targeted and automated. The emails you send can be templated – but the templates are fully customisable. The major benefit for users of Jump Send is how quickly you can set up your campaign using the templates and the pre-set options. You can quickly add your logo and attach any documents to your campaigns too. There is an easy-to-find campaign stats button – which means you can view the success of your email marketing strategy. A downside is that the opt-in of users is not transparent. You may end up paying for messages sent to users who are not receiving the email because they have not opted in. Some users have also reported some problems with integration of lists. However, this is a platform that makes it easy to get started – and if you are in a rush – this is the software to use. GetResponse is probably one of the favourite pieces of email marketing software on the internet. The reason is so popular is because it gets all the most important features right for the user. The pricing is affordable – even as your list grows – and the interface is easy to use. It is particularly impressive how easy it is to import your email lists- taking just a few seconds. Another thing that sets GetResponse apart is the design and choice of email templates available – they look professional even if they are created by a beginner. These templates are also optimised for mobile phone users. This is everything you could possibly need to get started. There is also the option to run A/B testing on different features of your email – so you can test details such as the subject line or the sender name – as well as the content of the message. There are some downsides – particularly the quality of the automation tools and the form building tools. The automation rules are limited, and this would be a problem for more sophisticated users. However, if your emphasis is on opt-in rates – GetResponse has a better record than many others. This package has the dual benefit of being easy to use and cheap. It is great for those wishing to run an email marketing strategy who have a limited budget. The campaign maker takes the user step by step through the process of creating a campaign – including how to segment your lists. The data feedback given by this package is also superior to some of the others. There are lots of integrations available – most usefully with WordPress. This includes an option for an email sign-up on your website with a single click. Another great benefit is that you are not locked into a contract with Aweber and you can send unlimited emails for up to 500 subscribers. Obviously, if you are a bigger operation that 500 customers – Aweber has its limitations. It is also more expensive than some other monthly subscription sites. This is a platform that is best suited to professional Amazon sellers and experienced marketers. The user interface is complex – but this is because it is a powerful piece of kit. The developers behind ConvertKit are also excellent for presenting constant upgrades – as well as providing incentives for email sign-up. The most interesting tool offered by ConvertKit is the segmenting tools – which allows you to easily set up automated campaigns for different users. ConvertKit might not be the first site you use as a beginner email marketer – but it might be one you try once you get going. It is cheaper than most – offering great tools for a cheap price. The unique selling point of Constant Contact is that it is a cost-effective solution – especially if you are happy to include the software logo on your email. The reason it can still be called cost-effective even though the subscription is technically higher than others is because the site also offers a personal marketing coach to its users. You can ask them questions – or request solutions to problems. This makes it a great site for first time users. A downside is that there are not many features to excite the advanced user – so you may find yourself swapping to another service relatively quickly.